CITY HALL — Community groups and public housing residents gathered in front of City Council chambers this morning to push for amendments to Mayor Rahm Emanuel’s proposed Five-Year Housing Plan. The plan, which was going up for approval before the the Council’s Committee on Housing and Real Estate, conspicuously lacks in concrete strategies to provide more affordable housing in Chicago. 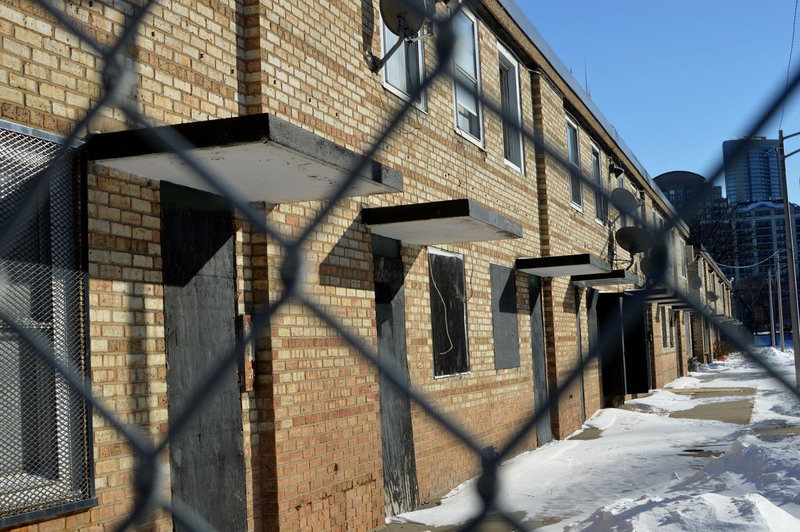 Moreover, it does not address the Chicago Housing Authority’s failure to meet commitments on its 13-year, $1.6 billion overhaul of public housing in the city. 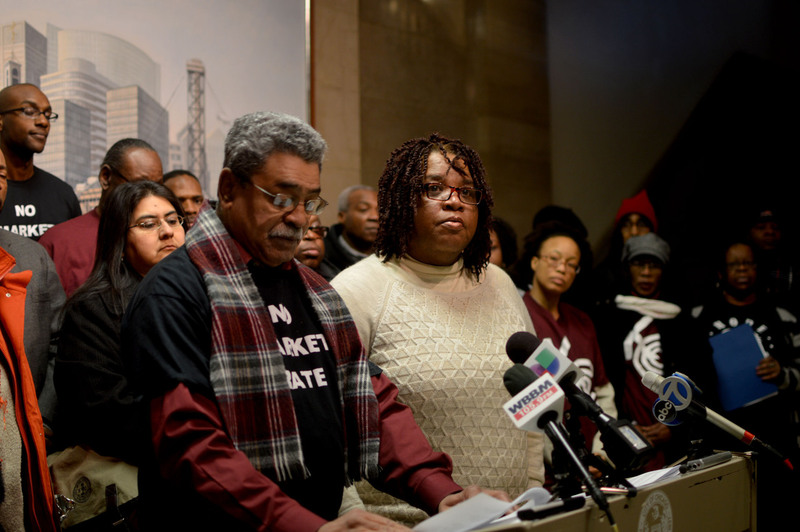 As in last week’s press conference, the Chicago Housing Initiative, a coalition of eight community organizations focused on low-income housing issues, decried the CHA’s misuse of public funds. Currently, the CHA has over $660 million in its reserves — money which has been diverted from federal and city allocations at the rate of approximately $100 million per year since 2008. In addition, the Authority has failed to circulate at least 13,000 federally funded housing choice vouchers while over 30,000 families wait for them on its waiting list. 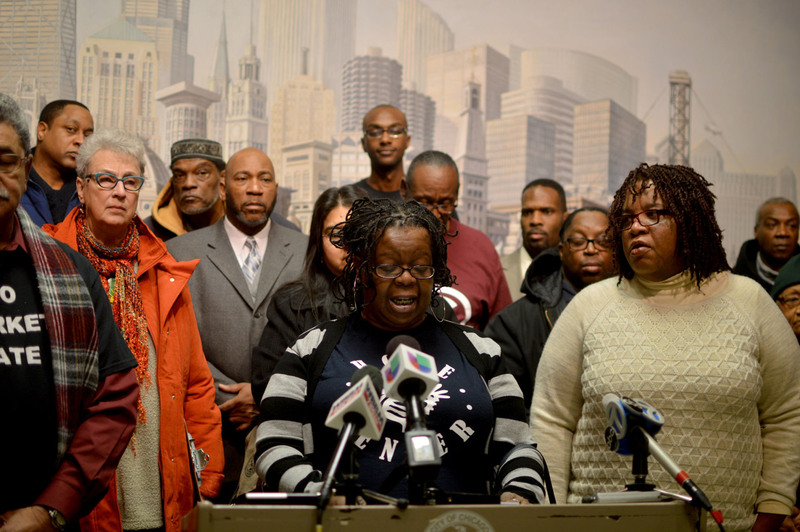 “Public funds are being used in a way that reduces affordable housing in the city of Chicago,” said Cheryl Johnson, a resident of Altgeld Gardens and the Executive Director of People for Community Recovery. She also pointed out that over 100,000 people are currently homeless in the city and contested the notion that the City Council can have no control over the CHA. “The city has a responsibility, the mayor appoints the commissioners, he appoints the CEO. And then you tell me you don’t have jurisdiction or oversight over what they do with your money that you give to them in addition to HUD? This is unfair. Is this how you want your tax dollars to be working?” Johnson asked reporters. Community organization leaders also criticized the high vacancy rate within CHA public housing properties and pointed out that the agency continues to receive federal operating funds for those unoccupied units. “Our research shows, in a typical year CHA receives $34.5 million in federal funds on the basis of vacant apartments, $40 million in funding earmarked to construct replacement housing but plans to rebuild only 40 public housing units in 2014,” said Alphonso Jones, a leader with the Kenwood Oakland Community Organization. These grievances were summarized in proposed amendments to the mayor’s Five-Year Housing Plan which were signed by 22 aldermen. They called for one-for-one replacement of any public housing units slated for demolition, the creation of public housing in areas of the city “that have historically lacked adequate public and affordable housing options,” and stricter oversight of the CHA when it enters into agreements with private entities for redevelopment of public land. However, despite the petition by the aldermen, vocal support for amendments by Ald. Scott Waguespack (32nd) in Council chambers, and numerous public comments by impacted residents, the Plan cleared committee and will be set for approval before the entire City Council next month.